Not all of us like to swim, but it is so useful! That is why we would like to share with you the most interesting swimming facts, which might make you start going to the pool. Holding on the surface of the water (not necessarily swimming! ), you can burn up to 200-300 calories an hour. +23 … +25 C is the most comfortable bathing temperature of the water in the sea. Warmer sea water loses a lot of useful properties. Swimming contributes to the 20-time increase in the levels of growth hormone somatotropin in children’s blood. 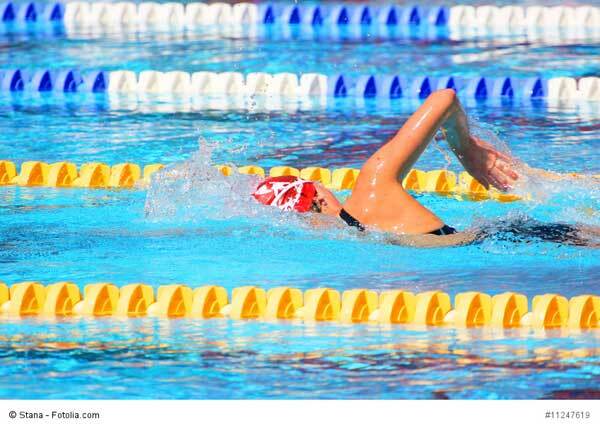 There are 2 times less hypertensive people among the swimmers if to compare with other sports. Crawl swimming helps make the waist thinner. Swimming is beneficial for the cardiovascular system. The people, who are regularly engaged in swimming, demonstrate a reduction in heart rate from 60 to 55 beats per minute. Those who do not like water sports usually have the heart rate of about 65-57 bpm. Australian researchers have tested 180 children from three to five years for ingenuity. The study found that the children, who were engaged in swimming during the early years of life, were far more intelligent than their peers who were afraid of water. Only 3 weeks after the birth, a baby can be taught to swim. After the third month of life, this innate capacity is lost. A group of researchers from the University of Extremadura in Spain and the Portuguese University of Evora had been observing 33 women, suffering from fibromyalgia for 8 months. The scientists found that the participants of the project, who trained in the pool 3 times a week for at least one hour, decreased pain in joints and muscles during the experiment, as opposed to those who did not go to the pool. The best time for swimming is from 7.00 to 9.00 and from 18.00 to 20.00. 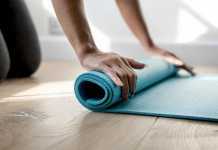 At the beginning of the day, the body is relaxed and most susceptible to such load; whereas an evening training will help you burn the maximum calories. The mass of the human body in water gets reduced up to 10 times. Even those who have never gone in for sports can train in the pool. Swimming is the best way out if power sports are contraindicated or if you have problems with your joints, back, overweight, and pregnancy. Even if you spend a minute in the water with the temperature of +20 ° C, the level of hemoglobin in the blood will increase. The most useful style for swimming is breaststroke. 30 minutes of active swimming burns 360 calories and involves up to 70% of all muscles.